Massachusetts enjoys a healthy economy as its per capita income stands as one of the highest in the nation. This factor translates into many Massachusetts commercial real estate listings. Many of the nation's top companies, such as Liberty Mutual Insurance Group, call Massachusetts home, and the state is a leader in the technology arena. Tourism and agriculture play a role in the state's economy as well and consistently contribute to the state's gross state product, which was $365 billion in 2008. Due to the overall health of the economy, there are numerous commercial real estate listings and investment property opportunities in Massachusetts. Retail space, office space and industrial space are plentiful in most areas including Massachusetts's largest city Boston, which is home to approximately 2/3rd of the city's population. Thanks to its focus on technology and education, Massachusetts stands out as a economically healthy and vibrant state. Those interested in investment property and commercial realty will find much to be excited about when considering one of America's original states. This offering is for the property listed above along with: 66 West st., 112-114 King St.
Start off your new year in this thriving professional complex! 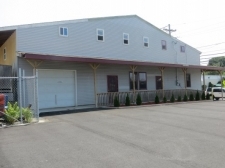 33,000 SF BUILDING WITH APPROXIMATELY 17,000 OF LEASABLE SELF-STORAGE SPACE. BUSY RESTAURANT IN CENTRAL LOCATION IN CHELSEA. OFFERS PARKING AND A BEER AND WINE LICENSE. Great location off Lynn Fells Parkway. Beautiful neighborhood of perfectly maintained homes. DIRECTLY OFF RT 1 NEW BUSINESS HIGHWAY SUSTAINABLE DEVELOPMENT ZONING! ARE YOU LOOKING FOR THE PERFECT, PRIME EASTON location? Industrial Building - Open Span with 28' ceilings. 160' X 59' including 1,200 square ft. offices. Location ! Location! Superior opportunity for brand new office space is now available for lease! HUGE building in a high traffic area! Brick light industrial bldg with loading 20,000 + s.f. The owner has totally remodeled this building to be one of the most contemporary spaces in town.